For such a relatively small place (about 6,000 inhabitants) the Basque coastal town of Bidart is a very lively spot with a wide variety of activities going on through the year. Its main sporting activities are pelote basque (the town has produced a number of top players, many of whom go to Florida, where the sport is professional), rugby and surfing. On the second Sunday of every month, you can witness the mutxiko (traditional Basque dance) and during the summer months, all these events are available in multiple quantities. A lot of Irish going on holiday to France come to this area because of the numerous camp sites nearby that cater for the Irish market. 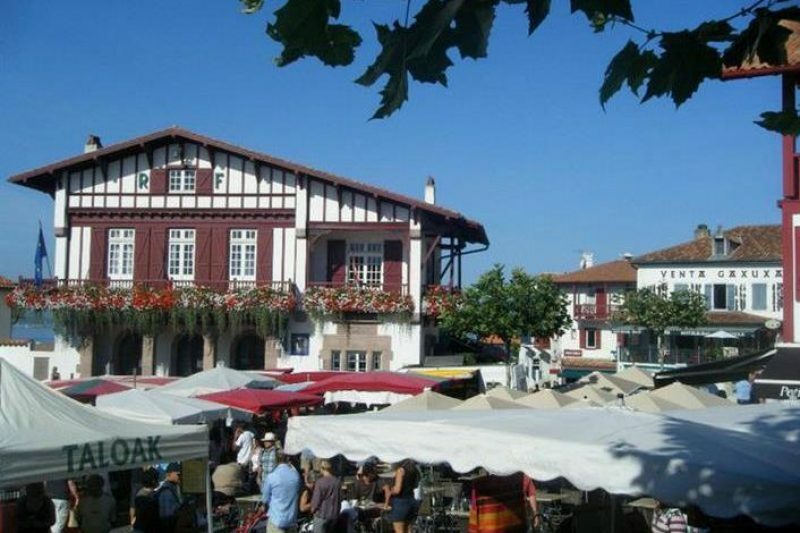 Its regular market is held every Saturday throughout the year on the Place de la Mairie from 08:00 to 13:00. This serves a variety of local produce such as pintxos (their version of tapas) or the marmitako (fish stew), swelling out into the warm open air during the summer months. From the 10th of July through to the end of August, there’s an additional market every Thursday evening from 18:00 till late on the Place de la Mairie and the Rue de l’Eglise. This includes lots of food, souvenirs and just about anything else you fancy in fun-atmosphere summer night bazaar.